Public squares can be used for events, gatherings, concerts, information and wayfinding, or simply as a place to take a break and relax. Many have events calendars that book up years in advance. Others take a more independent road, encouraging smaller and more grassroots programming. Because Westlake Park, for example, has become Seattle’s “living room” of sorts (like Pioneer Courthouse Square in Portland, which claims that moniker for its city), it is the perfect place for highly-visible flashmobs and rallies. 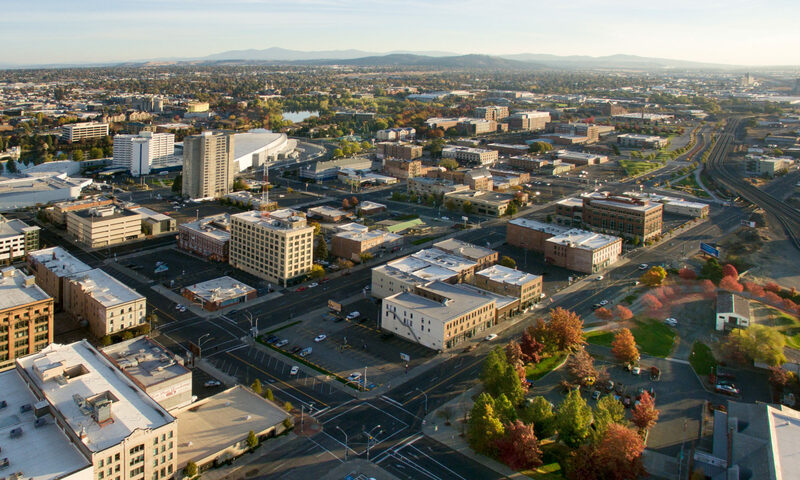 Luckily, the Downtown Spokane Plan indicates that such a square could be in the future. But where? No locations are given, but we envision several locales. Certainly the area in Riverfront Park surrounding the Rotary Fountain and near the Carousel offers a unique opportunity; the site is already a central gathering place and it has an iconic art/recreation installation. More likely, though, the location of our public plaza is to-be-determined, waiting for the whims and the finances of developers to recover. Perhaps then we shall see our long-awaited urban square.